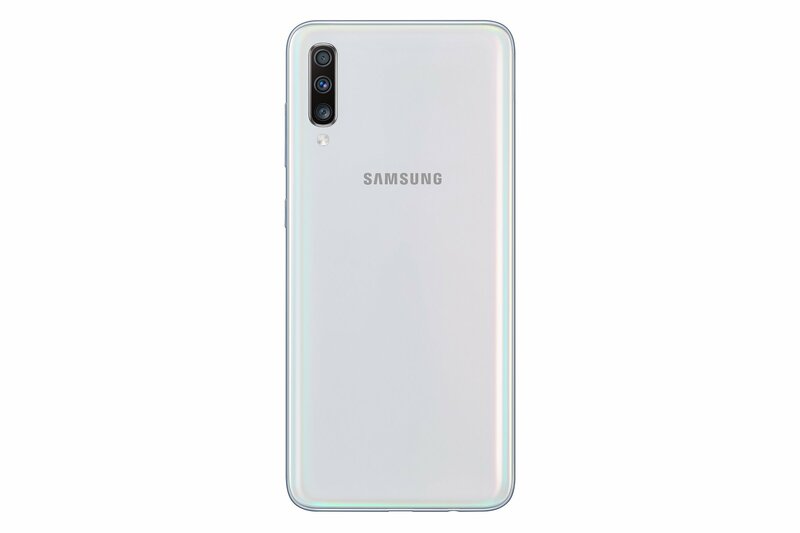 The Samsung Galaxy A70 has been launched in India. 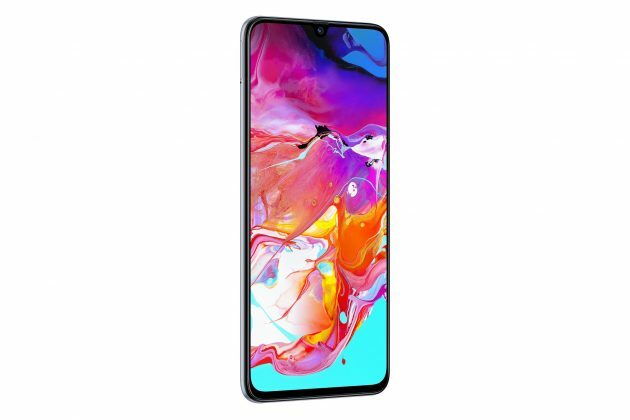 In case you missed it, the phone was announced in South Korea about a month ago. The Galaxy A70 is equipped with a 6.7-inch Full HD+ Super AMOLED Infinity-U display that has a 20:9 aspect ratio and a water-drop notch. 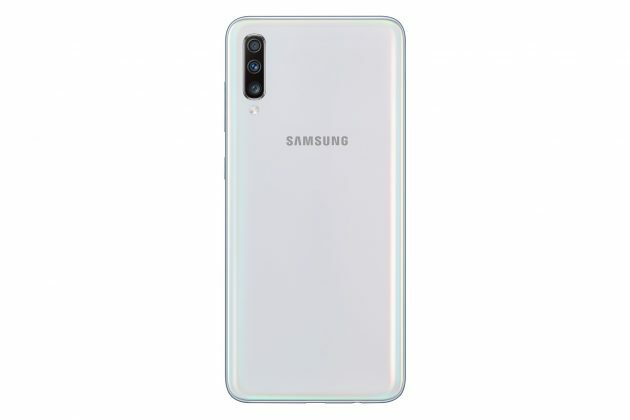 One of the A70’s primary features is the in-display fingerprint scanner. The phone runs on Android 9 Pie, and supports Dolby Atmos 360 degree surround sound. The device is powered by a Qualcomm Snapdragon 675 processor clocked at 2.0 GHz, with 6GB of RAM and 128GB of storage. A micro SD card slot provides support for up to 512GB of expandable storage . 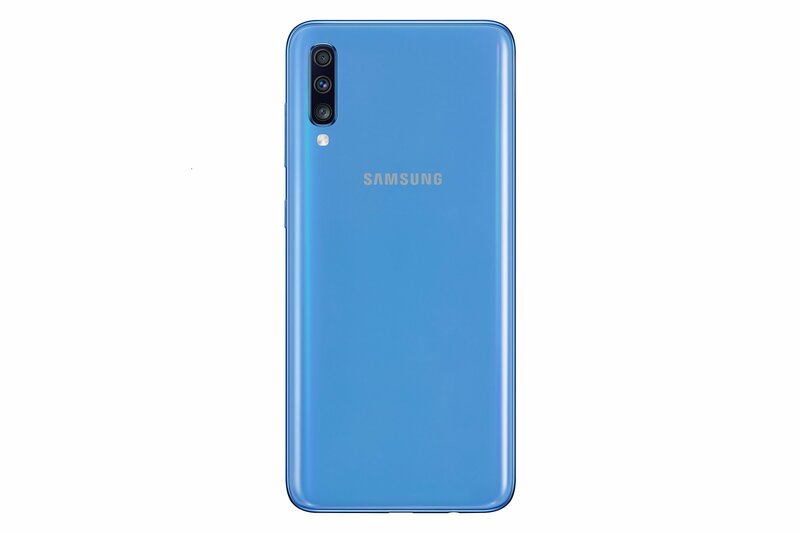 In terms of optics, the Galaxy A70 sports triple rear cameras that consists of a 32MP sensor with with an f/1.7 aperture, a 8MP camera with an 123° Ultra-Wide angle lens, an f/2.2 aperture, and a 5MP depth sensor with an f/2.2 aperture. The selfie camera on the A70 is also a 32MP camera with an f/2.2 aperture. The Galaxy A70 houses a 4,500 mAh battery which is capable of 25W Super Fast Charging over a USB Type-C port. The Galaxy A70 has been priced at Rs. 28,990 in India. 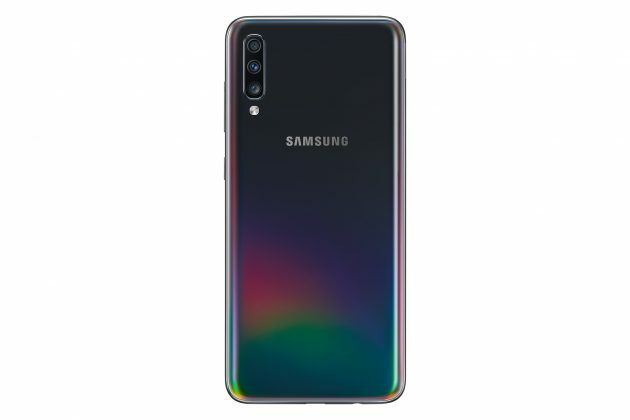 Sadly, Samsung has not made the 8GB RAM variant available here. You can pre-book the device from April 20th to 30th, to also buy the Samsung U Flex Bluetooth headset which is worth Rs. 3,799 for Rs. 999. 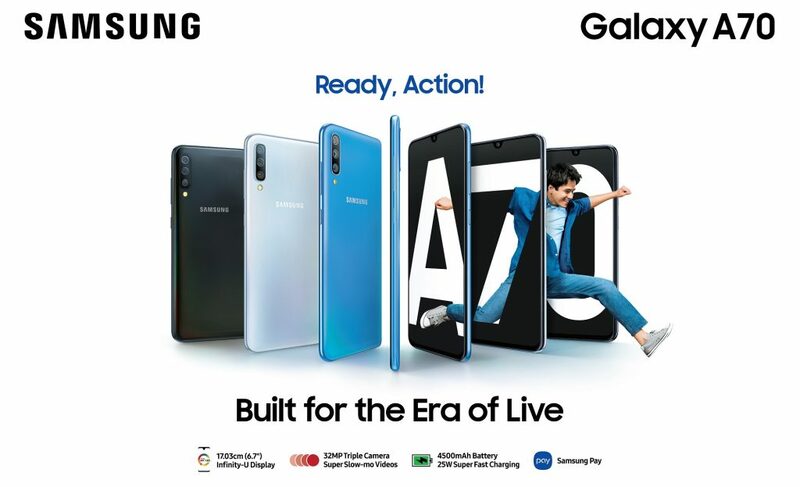 The Galaxy A70 phone will be sold through Flipkart, Samsung e-Shop, and Samsung Opera House from May 1st.